Information from the Medicaid EDI Workgroup on August 16th, 2017. Full slides are available here. Questions that were asked through the webinar were released after the meeting along with ODM’s responses. These are available here. There was discussion on the decision made by ODM to include SUD in the new HCPC code available to dependently licensed providers between 01/01/2018-06/30/2018. Medicaid is also attempting to find out which BH vendors are ready for testing and a timeline for those that are not. There were a couple conglomerates that state they should be ready to test with MCO’s over the next two weeks. Carelogic is ready to test and I have plans to begin testing with a client next week. As stated in the meeting, NextGen hopes to have the work on their utility completed in the next week and released to their Ohio clients once initial testing is completed internally. There was discussion around the fact that it is still difficult to navigate the differences between each MCO’s requirements for testing and contracting. For example, UBH expects a signed contract indicating “an intent to contract” in order to test but MyCare Aetna’s testing plans do not. The Ohio BH Collaborative is meeting Monday with MCO’s and are working to put together a road map that will be made available to all Medicaid providers. 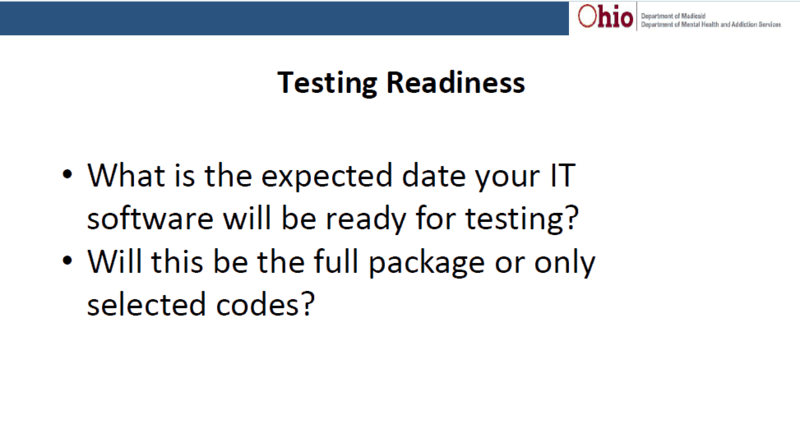 If you are a BH software vendor in Ohio, please communicate your testing readiness to Joan.Schlagheck@medicaid.ohio.gov. 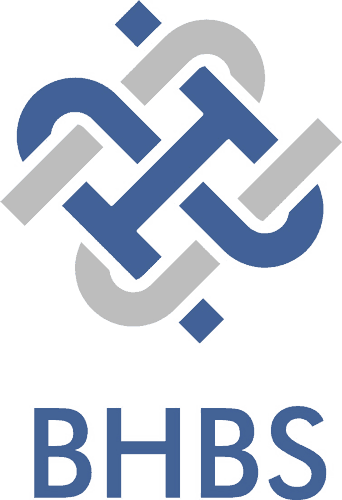 Concern was expressed by several difference sources about the addition of ALL providers as of July 1st, 2018. Questions were raised about the estimated amount of additional providers this may represent. One individual stated potentially 35,000 – 40,000, which could put a lag on the NPPES system as well as backlog the registration process for Ohio Medicaid. Medicaid states they will be staffed accordingly and are ready to meet the demand. There was also discussion about a potential timeline where the amount of additional providers registered could be evaluated to determine readiness for July 1st. More discussion will follow at additional meetings. The topic of dual providers and whether or not we would be able to register BOTH certifications was raised. An example would be a provider that is a QMHS and a CMS. Current state, only one side could be registered with Medicaid. They can affiliate to both MH and SUD providers, however, a QMHS cannot do SUD and a CMS cannot do MH. And there are many other licensure types that are commonly held by providers that separately can provide SUD or MH that need to be considered. This could have significant impact to the workforce if both certifications cannot be registered. Medicaid will take that back in an attempt to resolve this particular situation. They did mention the possibility of combining QMHS/CMS into one provider type, however, that would only resolve that one situation. 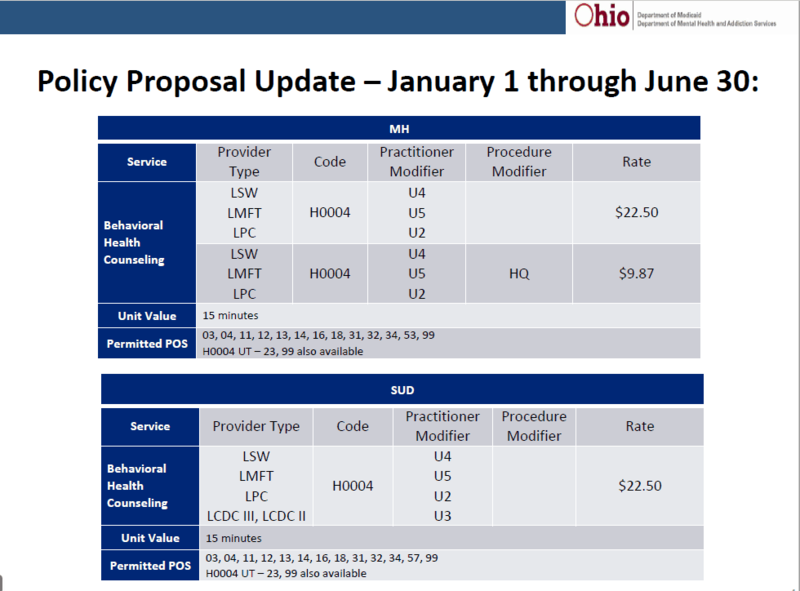 In reality, software companies are attempting to allow a provider to have dual certifications within their software and if we are required to register ALL providers, we should be able to do the same with Ohio Medicaid. So more to come on that note. However, it was strongly suggested that agencies begin today to attain NPI’s for all providers through the NPPES site. A quick tip for use when registering providers for their NPI is to include a billing or administrator as a contact in addition to the specific provider. That way when the notification comes in, it should be sent to both addresses.